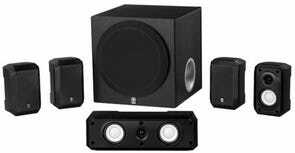 Get to Amazon and score the Yamaha NS-SP1800BL 5.1-Channel Home Theater Speaker System for just $88.00. Yeah - that's the lowest price we've seen. Excellent customer reviews. Go now before it's sold out.